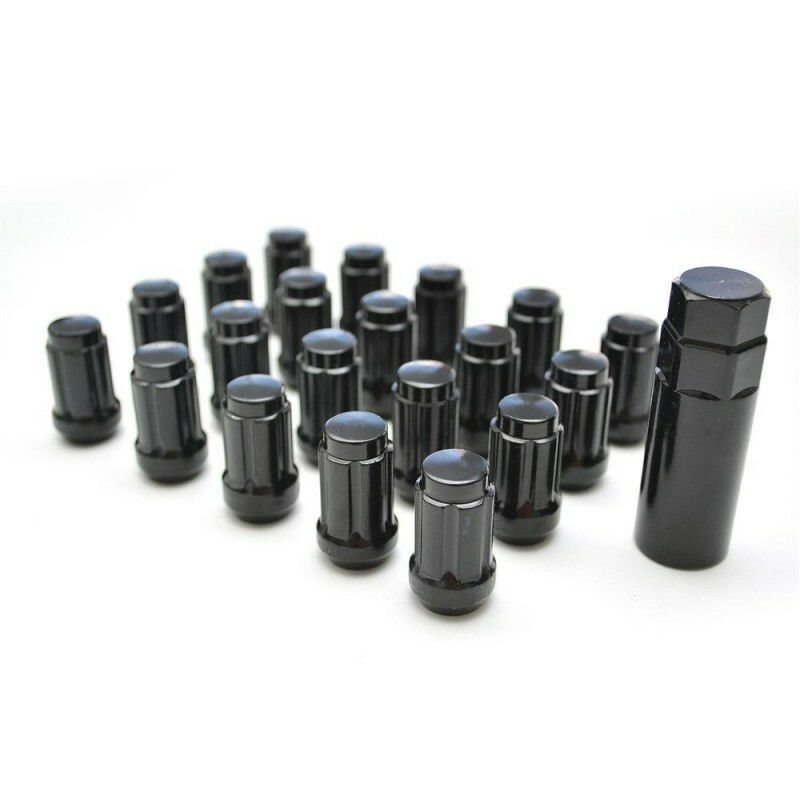 This lug nuts will fit vehicles with 1/2 RH thread pitch studs only. What Size Should I Use? Welcome to the black magic of wheel spacers! This is one of our most commonly asked questions. Unfortunately, it has no easy answer. If it were easy, we'd all be using the same size! Tailored to your needs, selecting your ideal size is easy by first determining how much available space you have to work with by measuring your tire-fender clearance. This empty space will likely be your spacer size. Naturally, let’s not exceed the empty space as that will lead to the tire rubbing on the fender. Likewise we don’t want to go too thin of a spacer as they may not meet your needs. It’s a Goldilocks story of not too much, not too little, and finding the perfect match right in the middle. With the car on level ground, hang a piece of masking tape from your fender. Stick a quarter (or a bolt or nut, something with a bit of weight) on the end so that it hangs straight down (gravity is your friend!) Next, measure in from the masking tape to the outermost edge of your tire. This will tell you how much space you have until the tire would contact the lip of the fender. Pick a spacer that is slightly LESS than this measurement. This will ensure the tire does not rub on the fender lip. Same as the method above but if you don't have masking tape to hang from the fender, you can use a straight-edge or ruler, and a secondary ruler or tape measure. Holding the first straight-edge from the bottom of the fender lip, perpendicular to the ground, use the second ruler or tape measure to find measurement to the outermost edge of the tire. The gap between the first straight-edge and the tire is your available clearance. Choose a spacer size slightly LESS than this dimension.